Last weekend saw the launch of brand new online fashion publication, CT magazine. My fiance, Sean, is the brains behind the whole project, being a photographer himself and also a respected business analyst. He wanted to revolutionise the way magazines credit the contributors, or rather the lack of. It’s typical for a fashion spread to have the names of the photographer and stylist splashed over the main feature with no thought to crediting everyone else involved in putting the shoot together such as the make up artists, designers, image editors and models. If they’re lucky they’ll get a tiny mention at the end where no one looks or bothers to read. The philosophy behind CT magazine is to acknowledge, appreciate and credit all those involved in the process of creating an image or article. CT stands for Creative Talent which represents everything the magazine celebrates. Good fashion created by talented individuals. 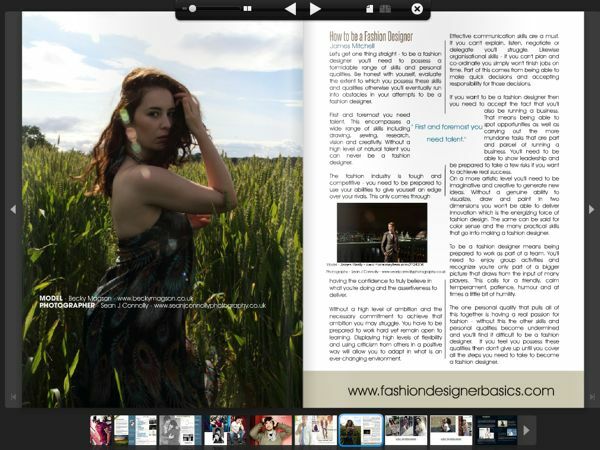 Already in issue 1 there’s been some amazing content, and I was honoured to be placed on page 12 for the ‘How to Be a Fashion Designer’ feature. It was the fantastic image that Sean took of me in the corn field in my peacock dress. If you’ve not yet had chance to check out the mag, click here to read the full copy. Rabbit Awareness Week (RAW) started on Saturday and being a rabbit owner of two beautiful buns myself I’ve been spreading the news to every corner. Rabbits are the third most popular pet in the UK and yet they receive the poorest of treatment. Sometimes due to ignorance but mostly because people don’t know what they need to know, so educating about rabbit welfare is crucially important to help pet rabbits live the most natural life they deserve. This year the topic is concentrating on the importance of vaccinating against potentially fatal myxomotosis and VHD. The two vaccinations used to given separately but in the last few months the dual vaccination was released which means less stress for your bunny, better convenience and it’s cheaper too! Lots of vets across the country are running FREE rabbit health checks which I really recommend you snap up if you have a bun yourself. You can find out more on the official RAW website. I like to show my support to the cause so I worked with Sean to get some really cute images of me with my rabbits, Bobby and Lucy. It was good fun and the pair looked adorable. I wanted to go for a boudoir pin up feel so I wore a ditsy floral print corset and a cherry print head scarf. Oh yes, and you may notice I’ve had my hair cut too! I wanted to go for something a bit shorter for autumn and I had my colour stripped too, so this is more my natural colour now.